A "Fallout 76" player was recently able to enter the locked Vault 63 through a glitch and snapped pictures of what’s inside. While the player expressed fear of a possible ban, Bethesda was particularly amiable about the situation and explained it to the player. Here’s what we know so far. According to McStaken’s thread on Reddit, his Rad-Rat Horde event party was able to enter Vault 63 and was stuck there for some time. Unable to find an exit, McStaken snapped some pictures, which could potentially hint at the contents of the Vault 63 in "Fallout 76." As of now, players were able to find a keycard slot for the locked Vault, but no way to find the keycard for it. The Vault 63 pictures paint an empty vault with barely any potential explanation why it’s deserted and not operational. Due to the pictures, McStaken was afraid that Bethesda would ban him from "Fallout 76." In response, a Bethesda community manager confirmed in the thread that the player was not in trouble and confirmed that these areas are still in development. In the future, these areas would be part of the "Fallout 76" content and story, and players would finally find out what happened in this locked vault. Other players experiencing a glitch like this are also encouraged to speak up if they meet a similar situation in another area in "Fallout 76." Rest assured, players won’t be banned if they enter places through glitches, save for the "Fallout 76" “developer room” where players got banned for breaking in. 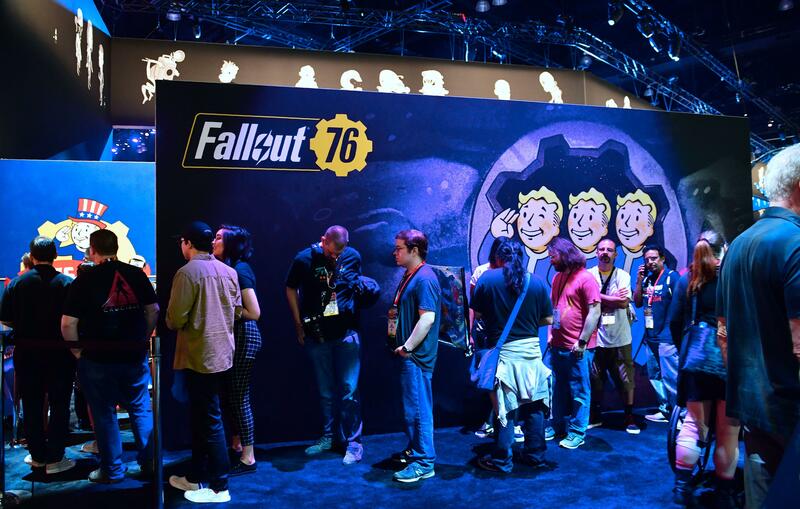 As of its release, "Fallout 76" was criticized for its lacking content and overall lack of polish, which left many reviewers and longtime fans disappointed. However, Bethesda is still continuing support for "Fallout 76" and could potentially recover from its bad release after many patches and updates for the game’s content and systems. "Fallout 76" has yet to receive a major update featuring a new area or raid dungeon for the players to explore and challenge for their own amusement. For now, we’ll have to wait for Bethesda to know more about their plans for this game.